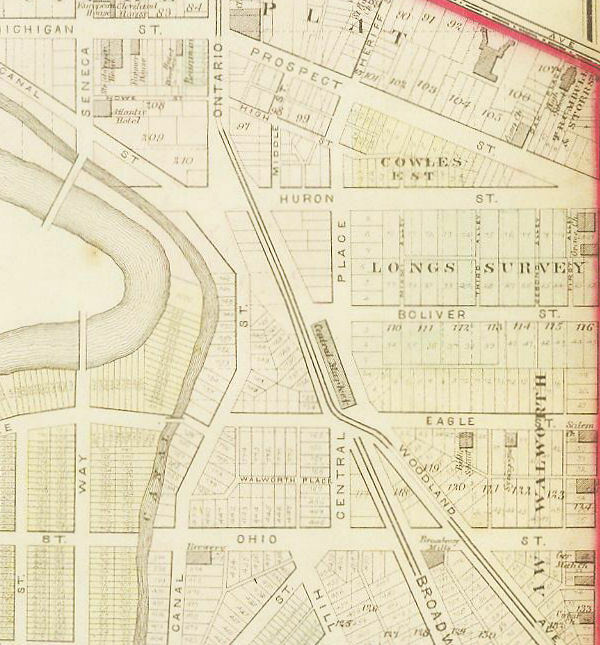 This 1860 map shows Central Avenue, Broadway and Woodland Avenue converging on (or actually originating from) the Central Market. Ontario north goes to what is now Public Square. On Eagle Street note the three buildings that are shaded darker. The middle one, marked "Synagogue" is the Eagle Street Synagogue (see below). The red line at the right edge of the map is Erie Street, now East Ninth. Looking north on Ontario Street toward Public Square, circa 1915. Central Avenue, Broadway and Woodland Avenue begin here. 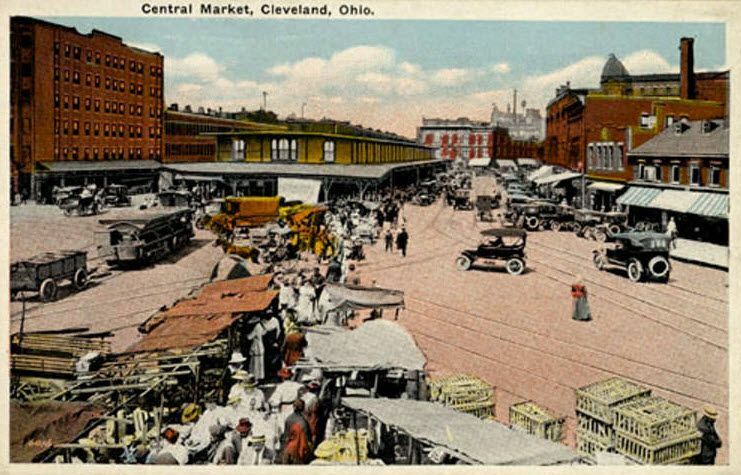 The postcard above was published by Jacob Sapirstein, a Polish immigrant who arrived here in 1905. His small enterprise that began by selling greeting cards from a pushcart would grow to become American Greetings. 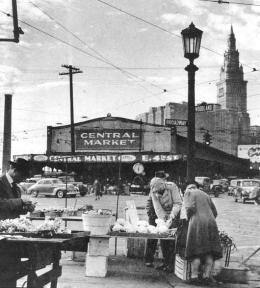 To the right is the same scene in 1946 with the Terminal Tower in the background. The Central Market dates from 1856. In 1949 the market house was destroyed by fire. This land is now part of the Gateway project, which today includes Cleveland's baseball stadium. 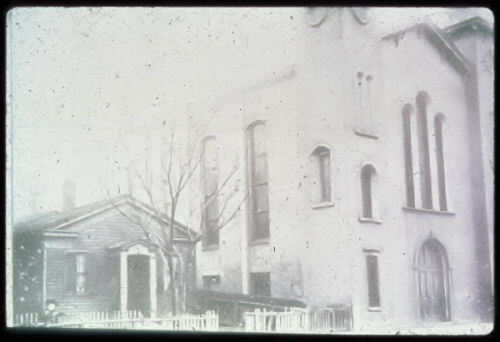 The Eagle Street Synagogue, Cleveland's first synagogue building, was built by the Irsaelitic Anshe Chesed Society on the south side of Eagle Street and dedicated in August 1846. In 1950 a group of members would leave and form Tifereth Israel, which in 1856 built a synagogue on Miami Street (now East Sixth) and Huron.